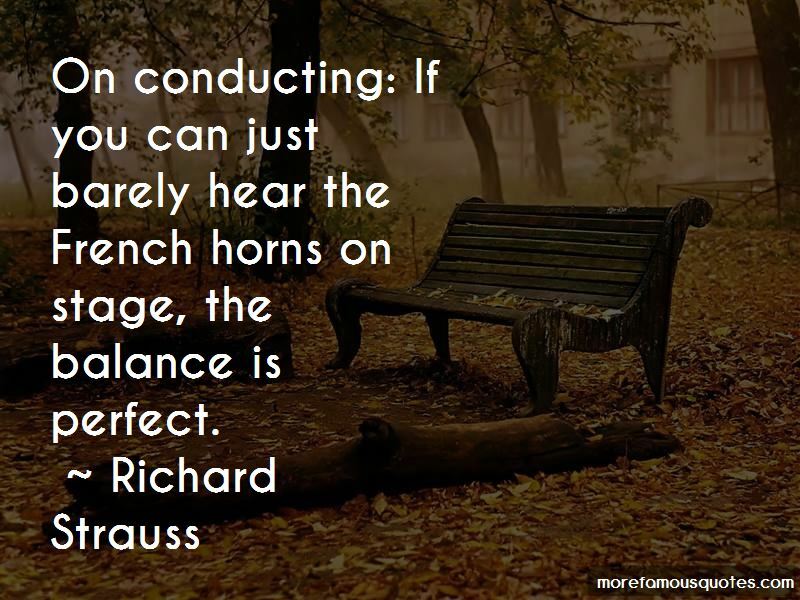 Enjoy reading and share 5 famous quotes about French Horns with everyone. “The Violins waltzed. The Cellos and Basses provided accompaniment. 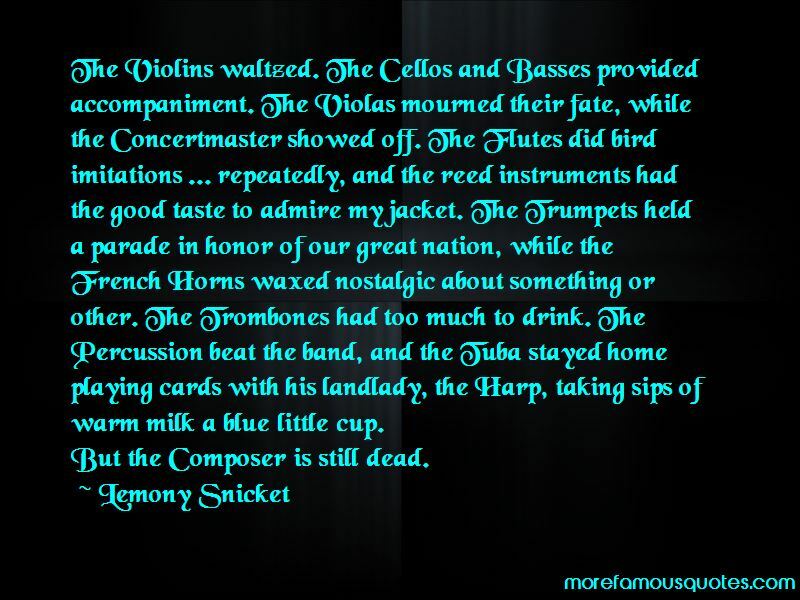 The Violas mourned their fate, while the Concertmaster showed off. The Flutes did bird imitations ... repeatedly, and the reed instruments had the good taste to admire my jacket. The Trumpets held a parade in honor of our great nation, while the French Horns waxed nostalgic about something or other. The Trombones had too much to drink. The Percussion beat the band, and the Tuba stayed home playing cards with his landlady, the Harp, taking sips of warm milk a blue little cup. 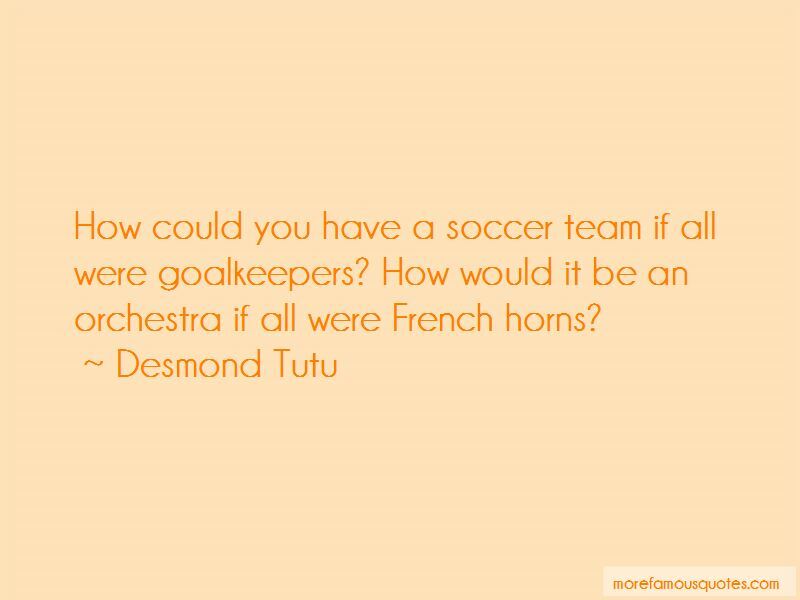 Want to see more pictures of French Horns quotes? 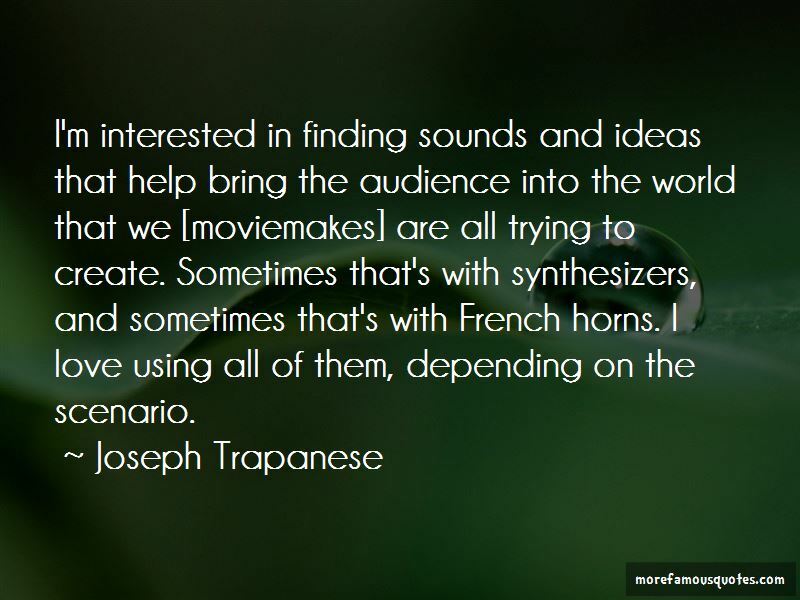 Click on image of French Horns quotes to view full size.